August 25, 2018, the Flat Rock Archives Museum hosted an Indigenous Peoples Interactive Workshop with Chenae Bullock, a Shinnecock & Montauk tribal member, Historian, Activist, and Traditionalist. With over ten years of experience, Chenae shared a wealth of information with participants of the day long event. The attendants received a wealth of information along with provided handouts, and a bibliography of associated reading material. 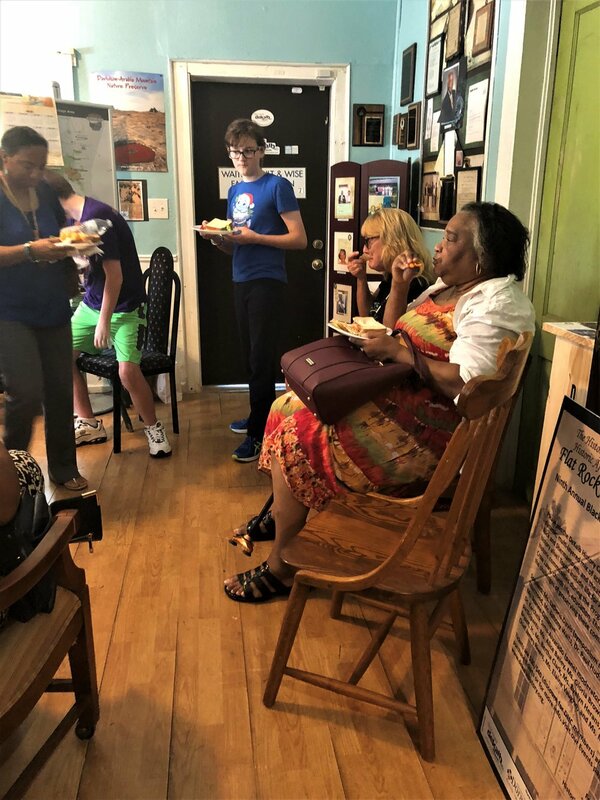 One of Chenae's lectures highlighted the parallels of the First Nations peoples and African-American communities and their walk along the Trail of Tears. She also spoke about the Native American experience with slavery and it's devastating impact on Native Peoples. Participants included national and state park rangers, teachers, professors, young students, media professionals and members of key organizations like the NAACP. If you would like to get in contact with Chenae about her upcoming workshops please email her here. A large lunch buffet was provided to guests by the Flat Rock Archives Museum. 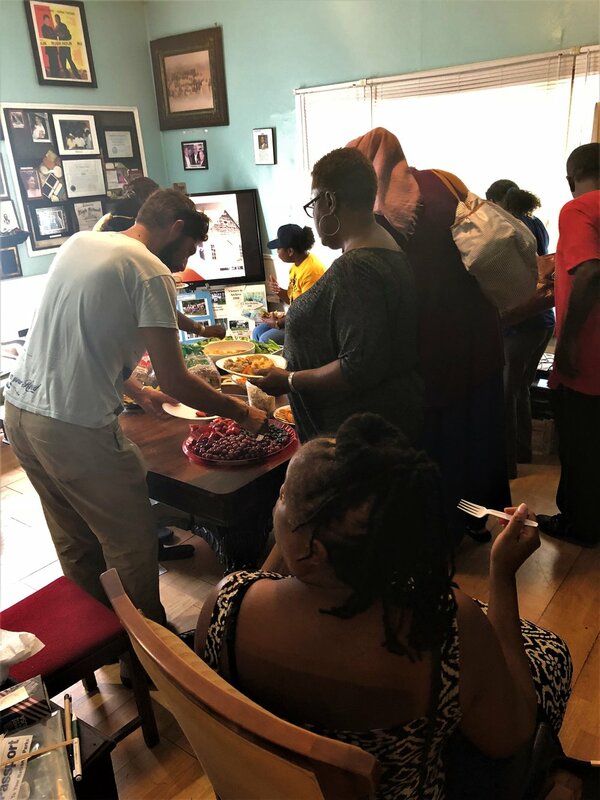 The lunch included several choices of lunch meat sandwiches, fresh fruits and vegetables, hummus, olives, chips, cookies, and iced-cold lemon tea. During lunch, participants learned about the history of the Flat Rock Archives and the rich history it is working to preserve. Johnny (President of the Archives) played Henry Louis Gates, Jr., African-American Lives featuring Chris Tucker. Actor Chris Tucker's grandfather, the late Rev. T.A. Bryant, Jr., co-founded the archives and includes a rich history into the Flat Rock community's story.